In my last two years in Delhi, the most noticeable thing about me (after my name) to the Delhi-ites has been my pronunciation of Hindi. This would be agreed by all my fellow out-station friends here in Delhi that people always tend to look at you by special attention once they realize that your tone of speaking Hindi is quite different to that of theirs. Generally there is no big deal with such special attention as people tend to treat you as guest and tries to help you, but some unlucky enough had actually been made mockery because of their accent and are behaved totally out of the world. So this is for all those Hindi speakers out there, its not our fault that our pronunciation is weak in Hindi, its just because that we are more attached to our language all through out that we tend to mix up our accent and yours which actually leads to this so called funny way of pronunciation. We don't intend to make a mockery of the Language, nor it is our misery, its the individuality that resides in each one of us. The South Indian accent of speaking Hindi is now quite well accepted and has also been used in many movies and other activities. However that same has not been the case for the East Indian accent. I come from Assam and I actually know what difficulties people from the state has to face in speaking the language here and so have decided to list them here. My Hindi speaking friends, the next time you laugh at certain pronunciation of ours please see the base why actually it happens. The biggest problem faced by the Assamese people once they come to a Hindi speaking area is that of "Ka" and "Ki". We often fail to use both in correct positions, as in Hindi language even non-living objects have got gender, and as such since we are actually out of practice of Hindi practice speaking so we fail to use them and often end up using Ka in place of Ki and vice versa. This becomes and immense source of mockery for the Hindi speakers. Also such a situation arises for the speaking Drinking of Water, as in Assamese there is no different word for 'Drinking' and 'Eating' as use the word Khai for both so we tend to use the same Kha word for both in Hindi, but as in Hindi people use the word Pee for drinking so this debarkation comes as a difference in Both the language speakers.. The most noticeable mistake in pronunciation of the Assamese people is that of "Rh" in Hindi. The Assamese and Hindi are based to the same script the 'Devnagri' and as such both the languages share quite similarities in their alphabets but slight difference in their pronunciation, as such we pronounce Rh as Ra. In Hindi pronunciation there is slight more curving of the Tongue inside then that of the Assamese pronunciation. 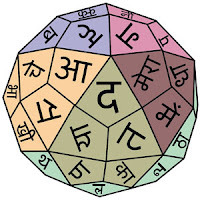 This provides a base for a base of lot many peculiar pronunciation of Hindi worlds. Which later becomes a source of mockery for many people out there. Again certain words are similar in both the languages which confuses the Assamese speakers as they are quite obsessed to their own language and because of their similarity often uses them. A great example of this is that of Elephant, in Hindi it is "Hathi" but in Assamese it is "Hati" Thus people from Assam usually uses Hati in place of Hathi which makes the Hindi speakers laugh at them. Similarly the number "Three" is pronounced Tin in Assamese unlike Teen in Hindi, which also adds up the different Hindi accent of the Assamese speakers. Thus my dear friends, we do not intentionally make the mistake in the pronunciation of Hindi, its just because of our own language which we are so used to that there is a mingling up of the accents and the words. So please don't make it a source of mockery or discrimination against us. I have discussed certain of the reasons of our such accent and there are many others. So do correct us where we are wrong and don't make it an insulting statement. I understand that most of you don't actually mean that bad in mind but those who do, please put some reason into your behaviour as it affects a lot. Ya..I agree..but people can ignore it only to a certain limit...but after sometime a frustration do come in.